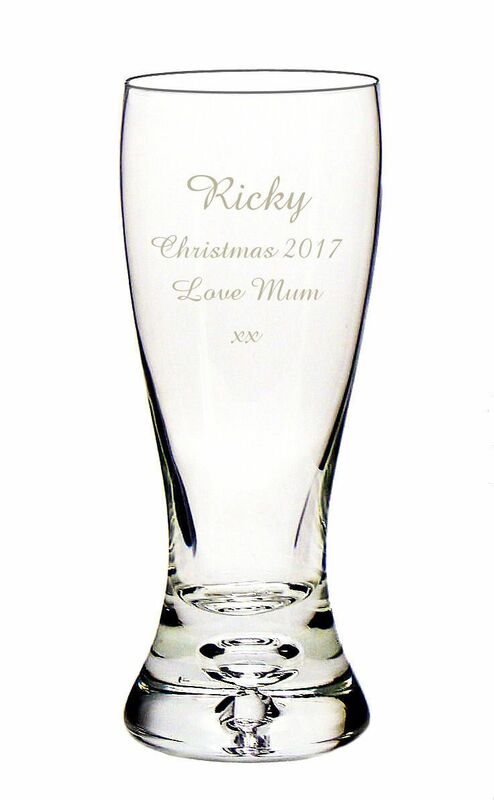 A high quality beer/lager glass which is sure to impress, this glass features a tall, sleek design. 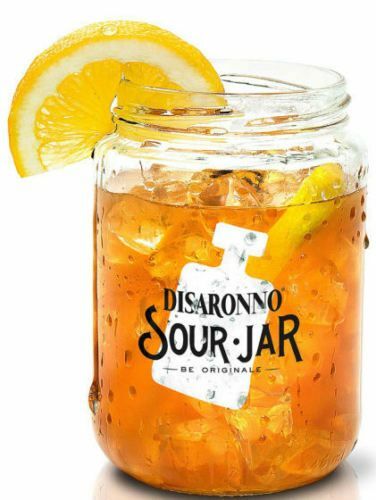 Its made from a thick glass with 4cm thick heavy weighted base which features a bubble within. The perfect gift for a loved one this Christmas. 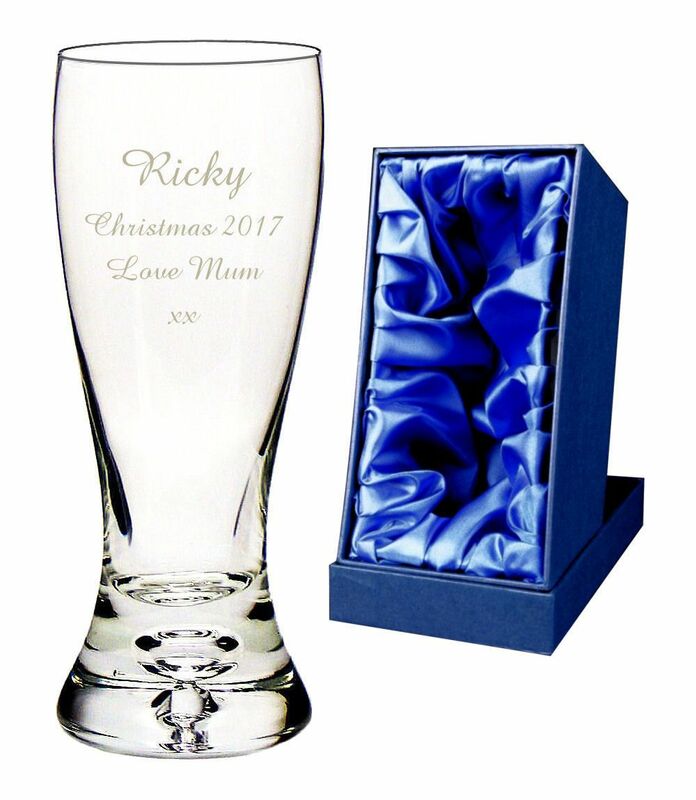 This glass is supplied in a silk lined gift box. For engraving we recommend 8 lines of 15 characters per line, including spaces. This wonderful, official Moretti glass features the famous logo on the front with a frosted band around the glass that reads 'Birra Moretti'. A perfect stocking filler for all music lovers.